On my last post I gave an overview of the 3D printers I am currently using in our hospital program. Now I will be explaining the different software I have used from one time to another to go from 3D model to 3D print. The software I cover here is available as a free download or for under $500. 1. TinkerCAD: The first software I used was TinkerCAD. It is a web-based CAD design tool, Simply create a free account and start designing. The layout and menu's are simple and basic enough for beginners to naviagate. It offers many pre-made tools to use from adding letters to adding shapes. For creating designs in TinkerCAD it uses a combination of adding and subtracting shapes or using pre-made designs. The main tools I use are Align, Group, Ruler, and Cylinder. When finished you can download your designs for exporting to a 3D printer or use a 3rd party to print your design for you. For being a entry-level software I still use it to add connections between bones, and for simple movement between parts. Importing .stl files is an important function to use when creating files in other software and wanting to edit in TinkerCAD. Use in Healthcare Applications: Adding custom connections between parts, creating simple frames and supports. Pros: Simple design, easy to use, no software to download, free, always available online from any computer. Cons: Pre-loaded shapes can be limiting for complex parts. Amazing results can be achieved with practice and time. 2. 123D Design: This software is part of the Autodesk family. This a free download, geared more towards users with some knowledge of CAD software. 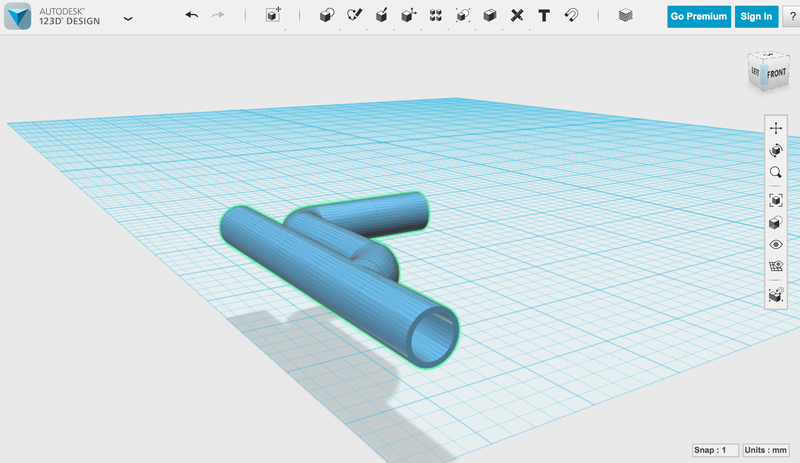 Where TinkerCAD requires the user to use shapes to make designs, in 123D you can create from scratch. This software is ideal for designing prototypes and those wanting to becoming more familiar with CAD software. I use 123D when I need more control than what is offered in TinkerCAD. 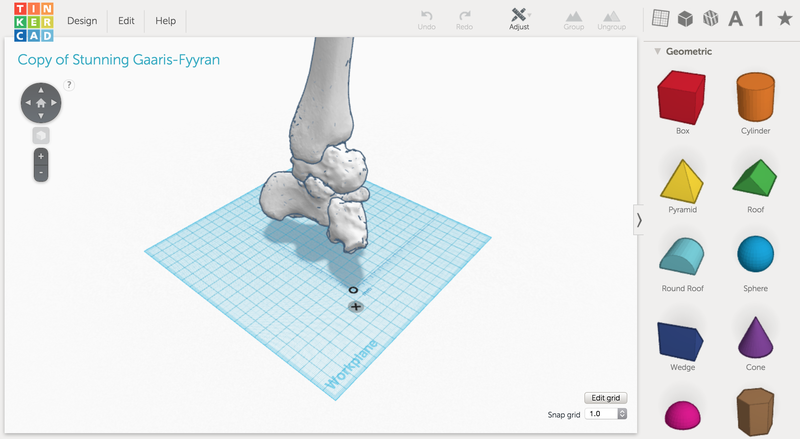 Use in Healthcare Applications: The software provides more customization than TinkerCAD. It allows for custom-made parts used in Rapid Prototyping Design. 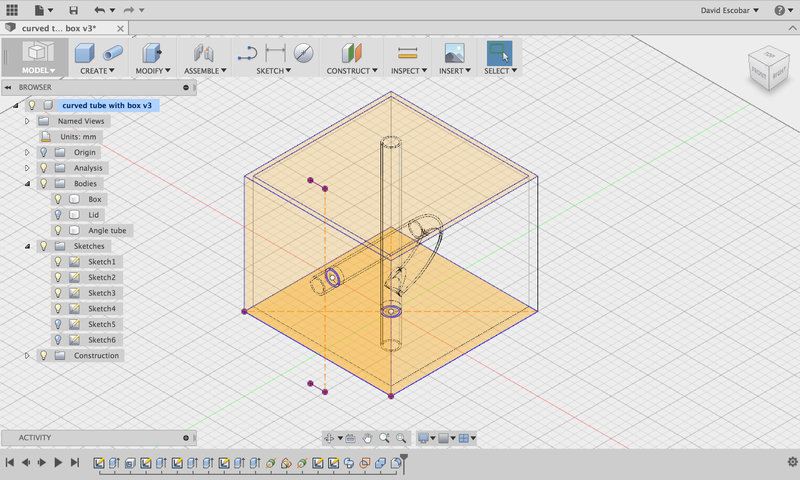 Pros: Simple to use, free, great for learning CAD software. Cons: Other software is capable of the same functions. 3. Autodesk Fusion360: I recently started using this software. As our 3D printing program grew I started to receive request to design prototypes based on drawings. Fusion360 has been my software of choice when creating prototypes. The software offers many tools from Sculpting, Combining, Importing Mesh, and Press & Pull, to name a few. I can spend countless post just discussing all the features available in Fusion360, best advice is to go use it. The online support is outstanding. Autodesk really has stood behind this product and helping the community, all my questions were answered within hours (during business hours) and customer support always provided screenshots or videos as well as the written steps. Fusion360 also has a new feature that will export directly to the printing software included or a 3rd party software, such as Preform, Simplify3d, Meshmixer, etc. Use in Healthcare Applications: Designing prototypes, creating designs based off of patient scan data, creating a wide range of models from simple to complex, allows for online collaboration with your team. Pros: Many features available, great online/community support, constant updates to software. 4. Meshmixer: Another software from the Autodesk family that I use. This is a very powerful & valuable piece of free software to have when 3D printing. Meshmixer gives you control over many different aspects of your model, including Transform, Plane Cut, Sculpt, Analysis, and adding Supports. The Analysis function provides Slicing of your model, it will correct errors and prepare the model for 3D Printing. Meshmixer allows direct exporting to certain printers (*listed in Meshmixer). Using the Support feature allows you to define how supports will be generated. 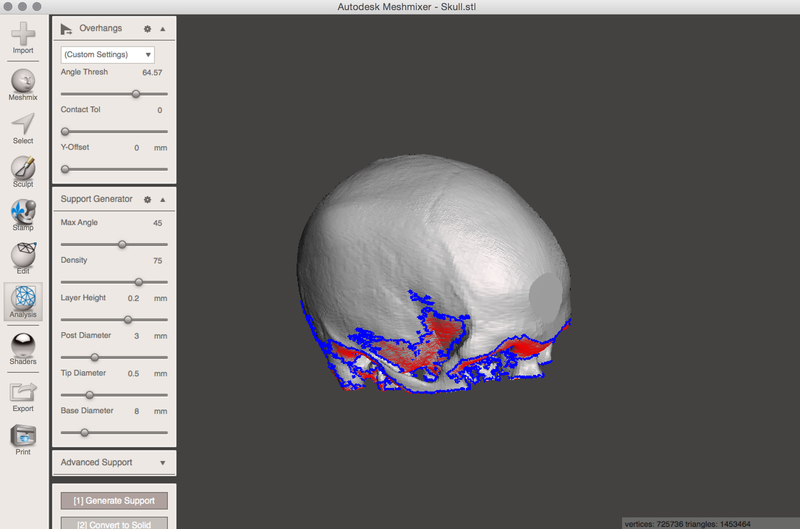 This software also allows you to add or remove supports that are generated by the software, a very useful feature when printing a patient specific model that is dependent on accuracy. Pros: Free. Many editing options available. Will help ensure more successful prints. Cons: Although there are training guides and a community forum. The software can be overwhelming to a first time user. The best recommendation is to search forums and spend time using the software to become familiar with the available features. There are many options available when choosing software to use. It is important to evaluate cost, ease of use, available functions, and capability with the 3D printers you will be using. Evaluate the goals of your 3D Printing Program to choose what combination of software you will need and use. Remember as most of the software featured here is free, spend time working with each one. Great overview David. Thanks for sharing!